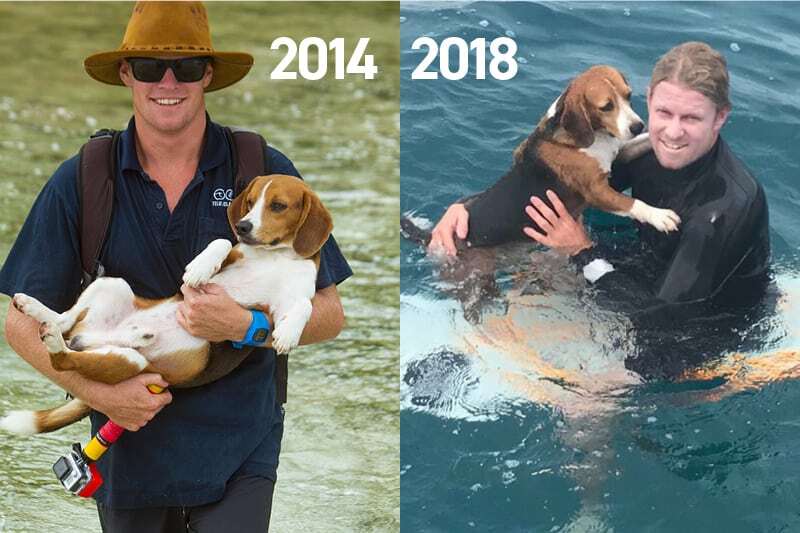 Pumping surf made for a lot of highlights on this Telo Lodge trip but maybe the sweetest moment of all was the reunion of Telo Lodge’s superdog Dre with Dan Corbett – legend former surf guide and onsite manager, who returned to TIL for a visit. 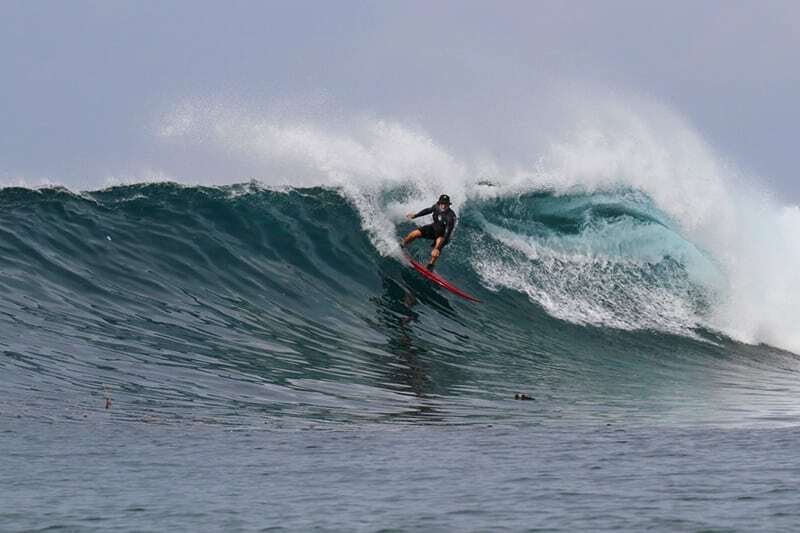 Many guests will remember Dan as the bloke who (like Zak and Dingo these days) embodies the Pegasus Lodges spirit – always positive, works hard to ensure guests get the best surf experience possible, and just a genuinely epic fella. Anyway, Dre was Dan’s pooch here at Telo Lodge back in the day – they were tight! And it was a beautiful thing to see ‘em reunite after a coupla years. OK, enough about these legends. Let’s meet our equally legendary guests. Paul and Melinda McCarthy came over from Tassie to get some warm water and weather. Paul was a wave magnet who always got the bombs, and Melinda loved hanging on the boat and touring Telo. Mick Calder hails from Melbourne and was only too happy to swap his management consulting gig for overhead rights out the front. This was Brett Cooper’s third Telo trip. Brett’s got a unique relationship with the lodge as he learnt to surf here on his first visit, and only really surfs when he’s here, (despite living in Cronulla). Bretty now doesn’t hold back when it’s well overhead! Rob Giardini morphs into an entertaining character called Rob 2.0 after enjoying a sunset beer. Rob 2.0 also enjoys late night karaoke and strolls on the reef. Luke Geelan is a well travelled charger, also from Cronulla. He’s a top fella who enjoys a few late arvo tins with Rob 2.0. And of course, Dan Corbs slotted back into tubes aplenty in waves he knows like the back of his hand. The surf was pumping for the whole 10 days, with nothing below three foot. We sampled practically every break in the area, with Le Ba and Max’s Right the standout days. Sunset beers at the left were memorable, karaoke night was hilarious, with Jimmy Barnes the artist of choice and Rob 2.0 best on ground. An epic trip, and bombing swell inbound. The good times keep rolling!